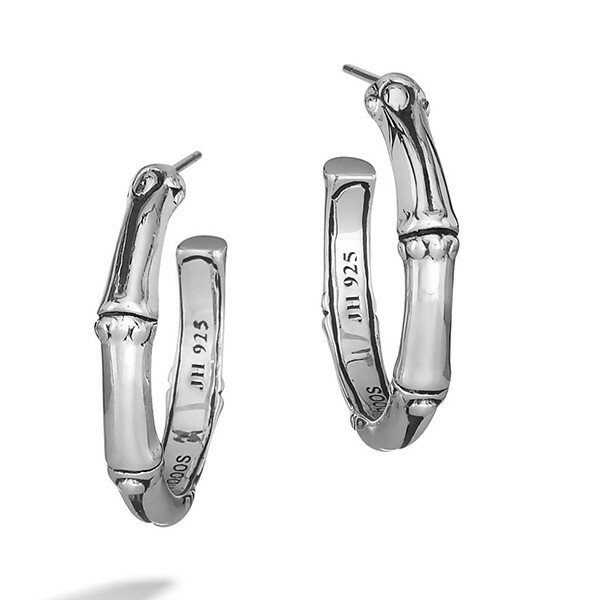 John Hardy presents these small hoop earrings from the Bamboo collection. Sterling silver with darkened details brings out the bamboo motif and accents the rich shine of the silver. These hoop earrings also feature post backs for comfort. Looking for cute, little silver hoops? Then, these John Hardy treasures are for you! 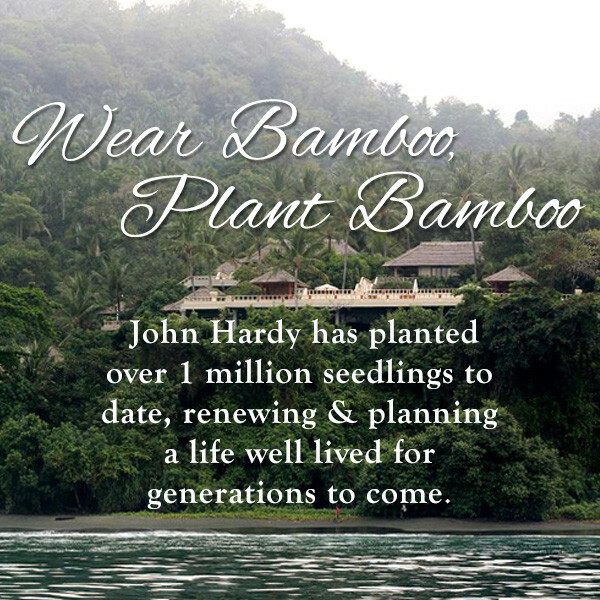 One bamboo seedling is planted with the purchase of these John Hardy earrings.